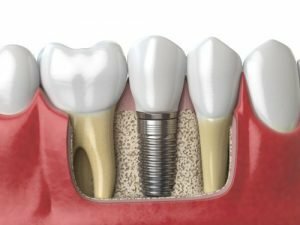 Dental Implants Haverhill MA | Adult dental patients can suffer tooth loss due to injury, severe decay, and periodontal disease. Many patients worry about their appearance after losing their teeth. Fortunately, dental implants offer the best solution for teeth replacement. How so? Read below to learn about the top 2 reasons to choose dental implants. Teeth replacement is important for your oral health. Missing teeth causes a number of issues like teeth shifting, decay, periodontal disease, and more tooth loss. We encourage patients to replace missing teeth as soon as possible to avoid further oral issues. Furthermore, patients should seek an exam and consultation to learn about their ideal solution. Dental implants are titanium tooth roots that are attached to the jaw bone. Once the area heals, an abutment and customized dental crown are attached. This final step completes the dental restoration and provides natural appearing results. Dental implants require regular dental hygiene and routine dental visits. Therefore, brush your teeth at least twice a day and floss daily. As a result, proper dental care allows your dental implant to last up to 25 years. Dental implants preserve the jaw bone while replacing the missing tooth. Aside from replacing your missing tooth, dental implants preserve your jaw bone. 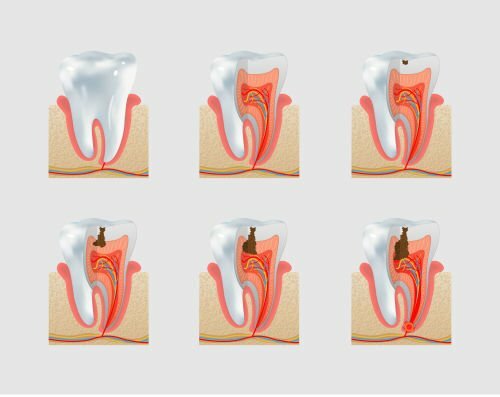 Natural tooth roots are anchored into your jaw bone, which maintain the shape and density. Once a tooth is lost, the jaw bone begins to deteriorate and change shape. However, patients can maintain their jaw bone with dental implants while replacing the tooth. Dental Implants Haverhill MA | Contact Dr. Hamada to learn more about dental implants. Schedule an exam and consultation by calling (978) 373-1231 or book online. Also, you may visit us at 209 Summer St. Ste. 1 Haverhill, MA 01830.